Dear Readers, it seems only a few weeks since I took some photos of the dog rose in bloom in St Pancras and Islington Cemetery, but the date on my camera says mid-June. How fast time goes, especially as you get older! When I walked around the cemetery today, the roses had been replaced by a harvest of rose hips, more than I have ever seen. When the redwings and fieldfares get here ( and I do believe I spotted one flying over this afternoon) they are going to have a feast. 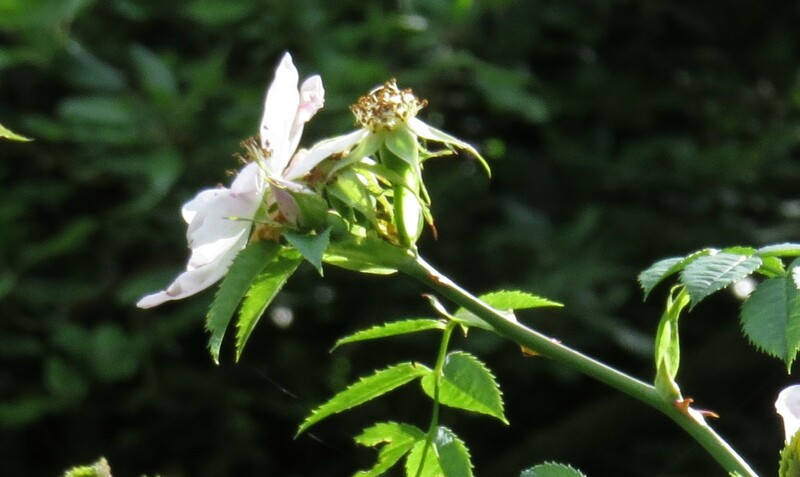 The dog rose is by far the commonest wild rose in most of England and Wales, so common in fact that it’s often seen as a bit of a prickly-stemmed nuisance. And yet it has a delicate beauty all of its own, with its pale pink to white flowers and that lovely tuft of stigma in the centre. 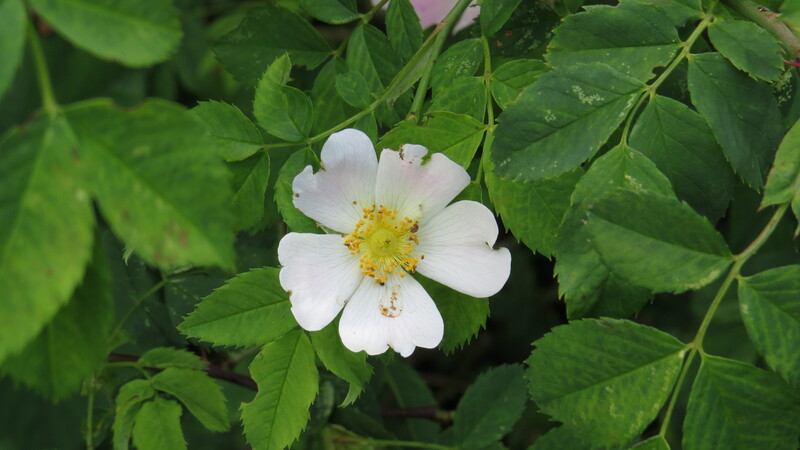 I wondered if the dog rose was the model for the white rose of the House of York, but the always-informative Richard Mabey says no: the rose used by Richard III was apparently a hybrid of the native field rose (Rosa arvensis) and the damask rose (Rosa x damascena). Apparently no common briar was going to be selected as the symbol of a noble family, which is rather a shame in my view. If I had a coat-of-arms, I think I would incorporate teasel, dandelion, green alkanet and comfrey, with a fox rampant to top it all off, and maybe a pigeon. Why ‘dog rose’, though? There are several theories about the etymology of the name. For some, ‘dog’ means ‘worthless’ – in other words the plant was a poor relative of the blousy cultivated roses that were all the rage. However, an alternative explanation suggests that it was believed that the root was a cure for the bite of a wild dog, and in the seventeenth and eighteenth centuries it was used in this way. Five brethren were born together. And the other had but half a one. Did you get it yet? No, me neither. 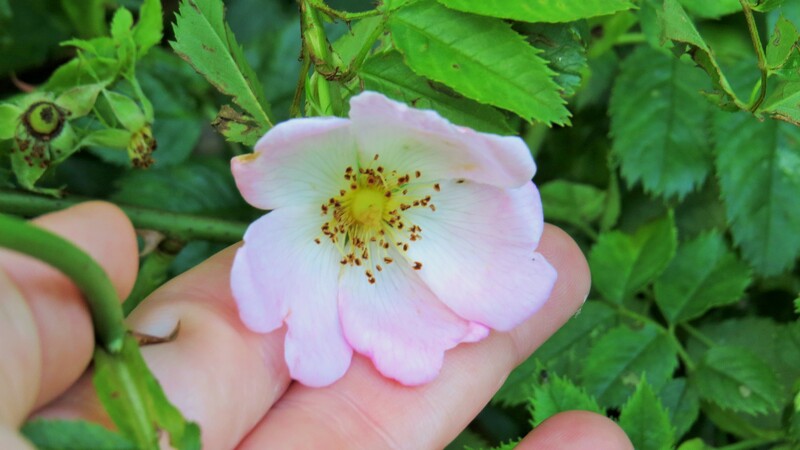 But the riddle refers to the sepals of the dog rose – the green parts that enclose the bud before it opens, and which gently peel back to allow the flower to develop. In the dog rose, two of these have a ‘fringe’, two are smooth, and one has a fringe, but only on one side. The sepals in the photo above are not clear enough for me to check this out, but I will have to put a note in my diary to remember next year. I love these pieces of ancient lore – there’s always a frisson of excitement when I realise that something has been handed down to me from hundreds of years earlier, like a handshake from the past. 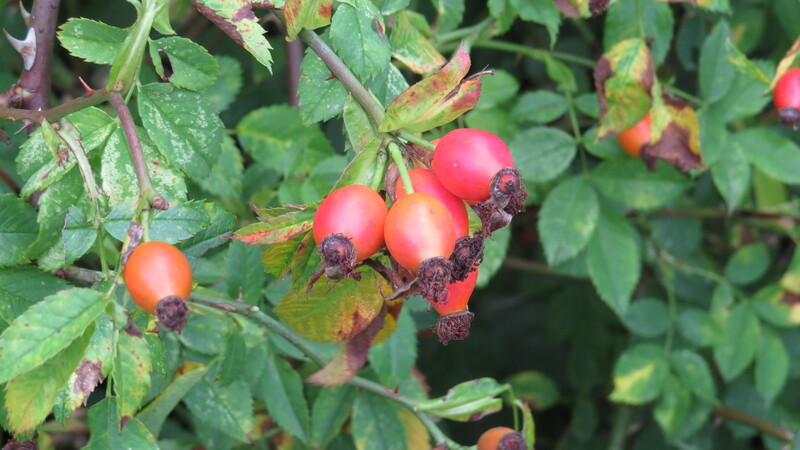 I have talked about the value of rose hips as a source of vitamin C before, in my post about sweetbriar, but the hips of dog rose have been used even more widely as the plant is so much more common and widespread. It was planted in Victory Gardens in the US during the Second World War, and is used to make a sweet wine in Bulgaria, amongst other places. 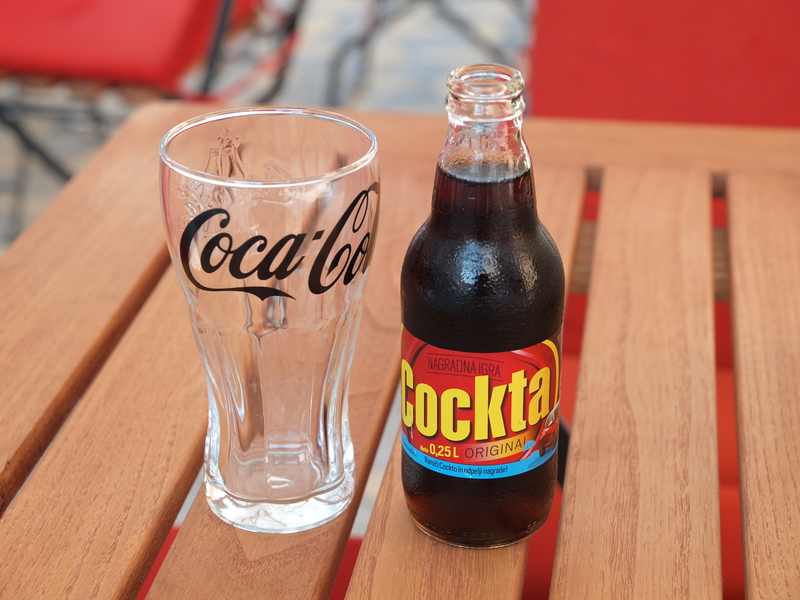 I was delighted to read that in Slovenia in the 1950’s, a soft drink called Cockta was manufactured in an attempt to provide the population of what was then Yugoslavia with a new soft drink. As Coca Cola was not sold in the region, it was felt that there was a gap in the market that a beverage made from locally grown plants could fill. Even today, Cockta is sixth in a list of the 25 biggest brands in Slovenia. I must say that it sounds rather delicious. Even today, I remember the taste of Delrosa Rosehip Syrup from when I was a child. What could be nicer than the same thing with bubbles? Any plant that has lived alongside us for as long as dog rose is bound to have a range of superstitions associated with it. It was once believed that a late-flowering branch of dog rose presages an outbreak of plague, and also that any plans made within earshot of a dog rose are bound to go astray. During the month of June, when the dog rose is usually in flower, it was dangerous to the flowers come too close to the eyes as it would cause blindness. If you were accidentally bashed about the ears with the blossom, the result would be painful earache. I would love to rewind history and see how exactly these beliefs grew up. Was it just by association, or by rumour, or was there a kernel of truth to some of these stories? My mind is sometimes fairly boggled, although a lot of the things that we currently believe will no doubt seem equally odd to the generations that come after us (if we haven’t totally screwed up the entire planet by then, of course). 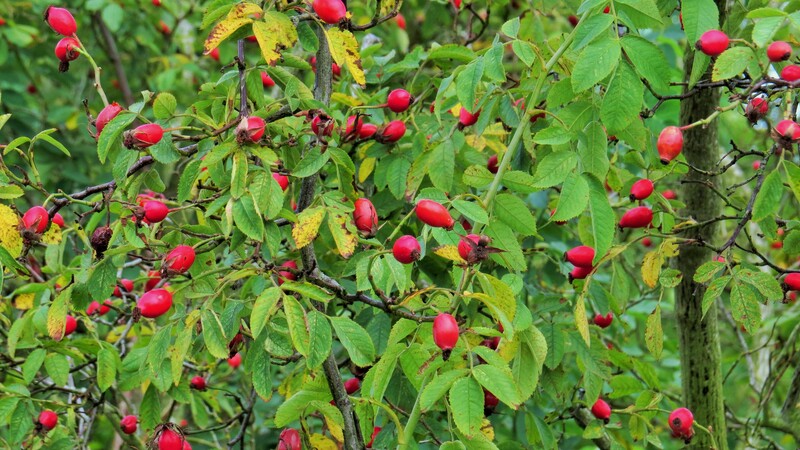 In Austrian traditional medicine dog rose hips are used to treat kidney complaints and infections, and recently an extract of rose hip has been shown to be beneficial in the treatment of painful osteoarthritis. What a boon it would be if this could be explored further. Arthritis has been a scourge of humanity for as long as we have existed, so anything that helps to alleviate its symptoms without the side effects of so many painkillers would be a wonderful thing. 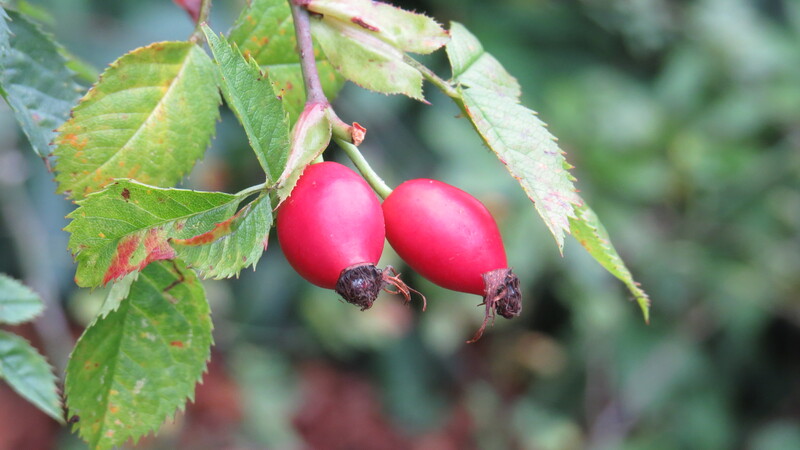 The rose hip is, of course, the fruit of the rose – each hip contains hundreds of tiny seeds. 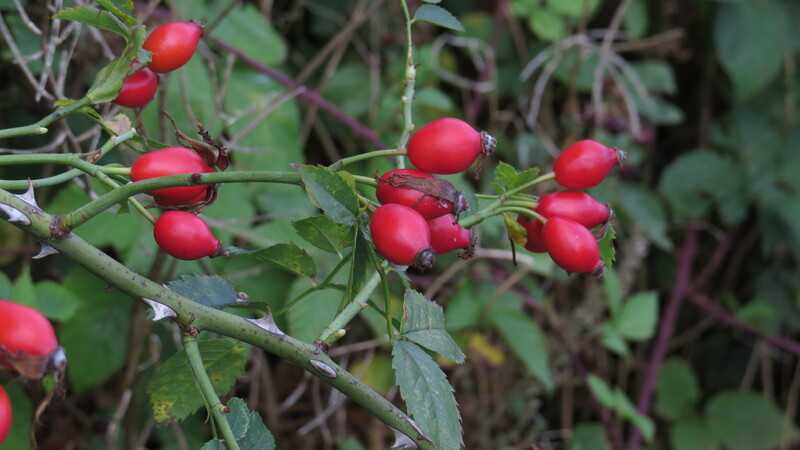 What I didn’t realise was how long these seeds to take to germinate – those of the dog rose need to go through two cold winter periods before they will rouse themselves into action. But the hip itself contains tiny hairs which can be used as itching powder – just as well my brother and I didn’t realise this when we were children, or the results might have been most irritating. 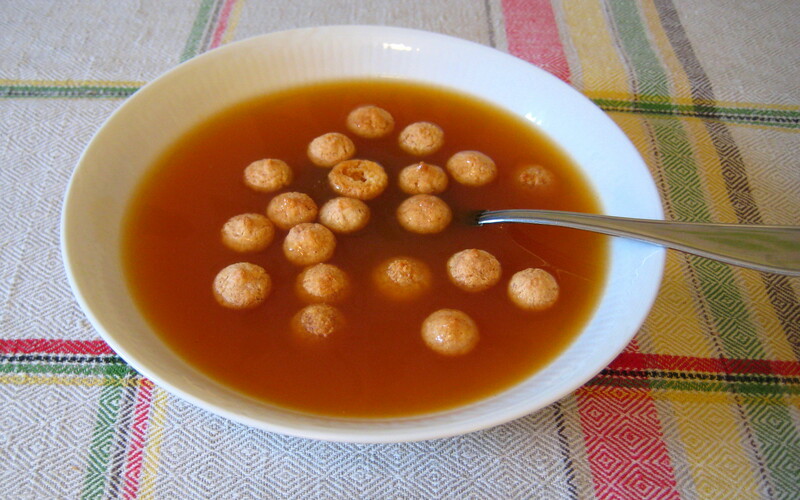 Finally, I cannot leave the subject of the dog rose without noting that in Sweden they make a sweet soup from the hips, called Nyponsoppa. This is apparently a combination of dried rose hips, potato flour (to thicken), sugar and water, and the mixture is eaten with vanilla ice cream and little almond biscuits. Sadly the vitamin C content, which is destroyed when the soup is boiled, is much reduced, but I must say it looks rather tasty. However, I shall be leaving the rosehips in the cemetery (and, indeed, the ones in my garden, to the thrushes, and to any passing waxwings. Normally hedges are cut before the hips get a chance to develop, so it’s a treat to see them. I shall be keeping watch to see who comes to visit..
All other photos copyright Vivienne Palmer. Free to use and share non-commercially, but please attribute and link back to the blog, thank you! This entry was posted in London Plants on September 21, 2016 by Bug Woman. 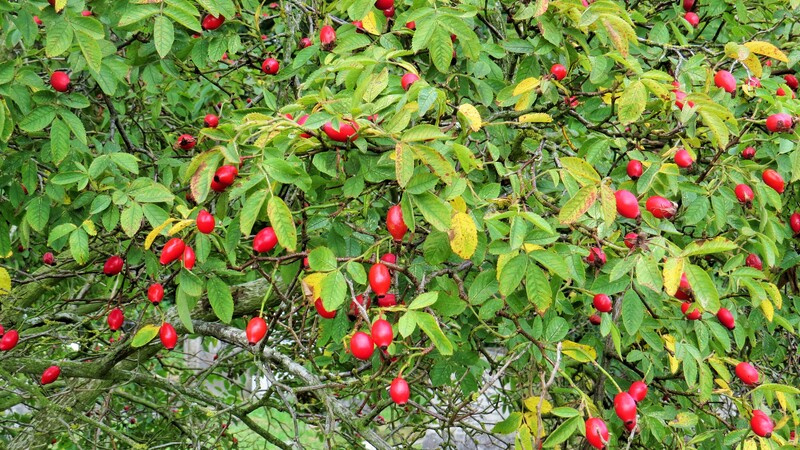 In the early 40s my mother made rose-hip syrup for me from foraging walks in Suffolk lanes. Re the name: I’ve read that it’s derived from the Anglo-Saxon ‘dagge’ meaning dagger. Apparently the hard wood was used for dagger handles. Or perhaps it’s a ref to those lethal thorns. I used to love rose hip syrup, we had a spoonful every day when I was a child (being city children it came in a bottle and was called Delrosa 🙂 ). And thanks for the info re dagger handles, how intriguing! And yes re the thorns, I found myself heartily entangled when I got too close for a photo last week. another lovely post, chock full of goodness – like Delrosa! Fascinating post as always! !minalways used to pick amdog rose and thread it in my dog’s collar when I was little …I think they flower at dog days time too…?